Whether you need just a couple of extra chairs, or you need seating for up to 500, Fun & Game Rentals can take care of your needs! We also carry round and banquet tables in multiple sizes, as well as cocktail tables. 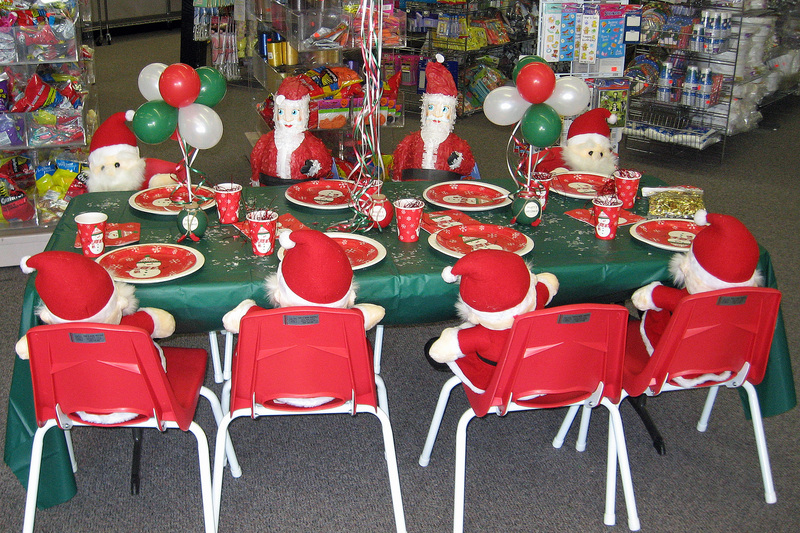 For your smallest guests, Fun & Games offers a large selection of child sized tables and chairs, so that everyone can sit or dine in comfort! Our banquet tables come in a variety of sizes to custom fit your individual needs. 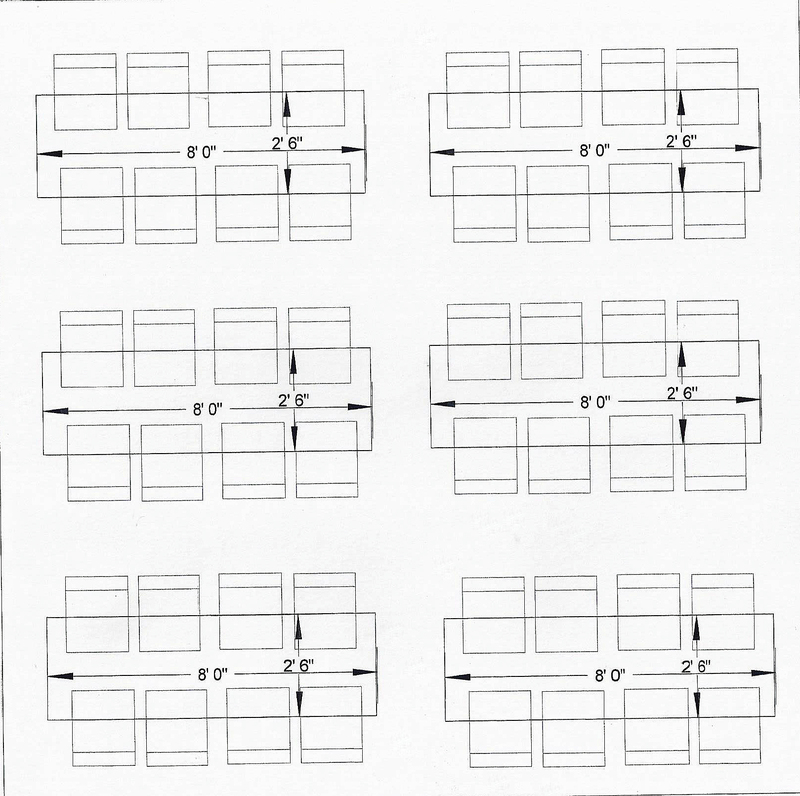 A 4 foot banquet table can seat 4-6, a 6 foot banquet table can seat 6-8, and a 8 foot banquet table can seat 8-10. 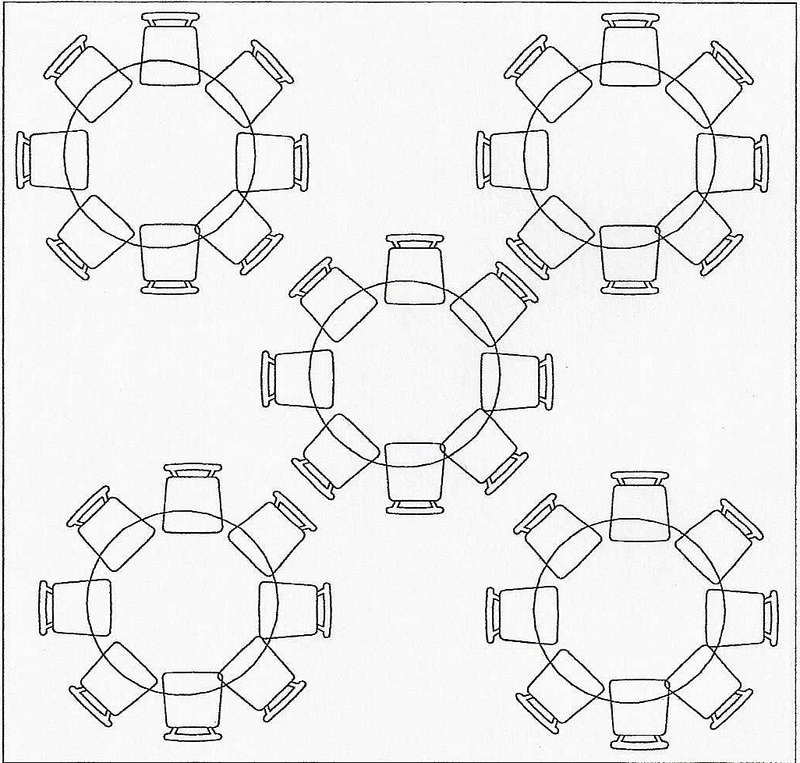 Round tables add style along with better view angles, traffic flow and conversation for your guests. Our 48 inch tables seat 6, while our 60 inch tables seat 8. Having enough chairs for everyone is essential for any party to be comfortable. 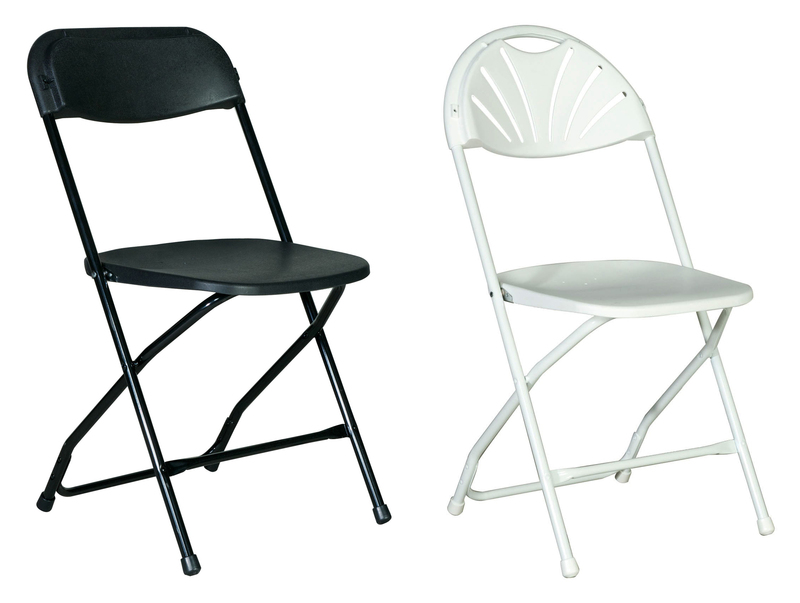 To customize your seating, Fun & Game offers both black folding chairs and white fan-backed folding chairs. Don’t forget the little ones! We offer chairs and a table that is the perfect size your your younger guests. Child sized equipment helps kids feel more comfortable and independent! Do you need high top tables for our cocktail party? We supply 30 inch round tables that will compliment any event where you would like a little more height and a lot more mingling. Fun & Games rents a wide variety of table linens. 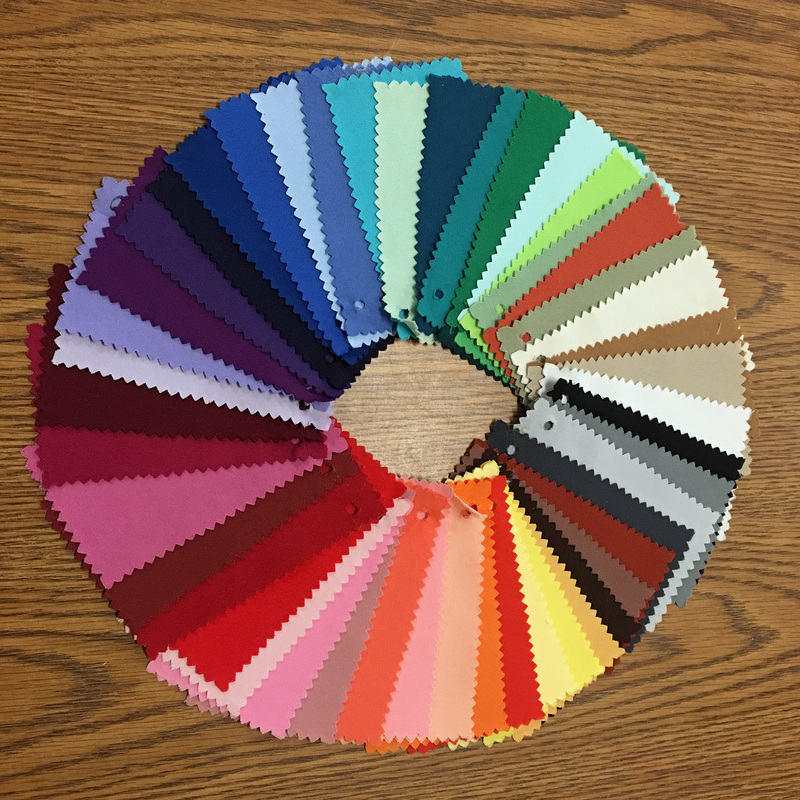 There are dozens of colors and styles to choose from. For simplicity and your convenience we are providing prices below for our polyester solids only. 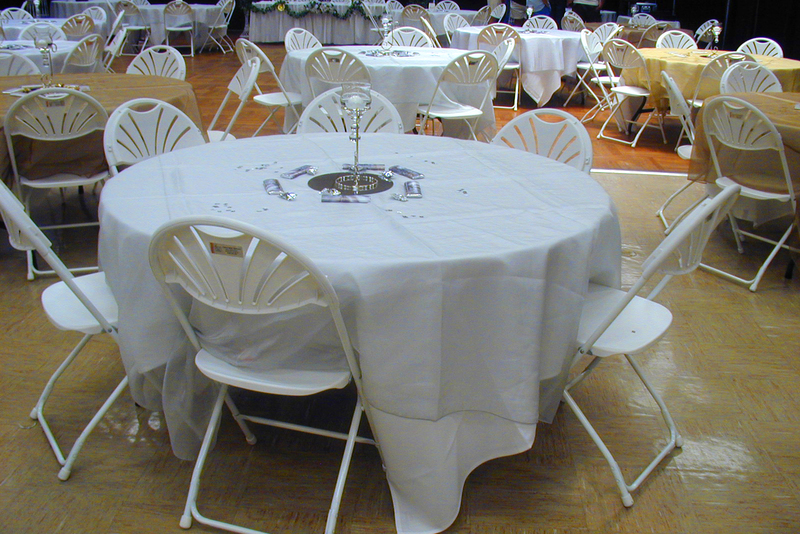 Our poly solids are the most popular linen rental, but we do offer satins, organzas, stripes and taffetas. For details on our other linen products, please contact Tami, our Event Specialist at 209-239-1661. For a top cloth, order a 54″ x 54″ or 72″ x 72″ square. For a floor length linen, order a 120″ round. For a 24″ drop, order a 108″ round. For a 21″ drop, order a 102″ round. For a 15″ drop, order a 90″ round. For a 6″ drop, order a 72″ round. For a floor length linen, order a 108″ round. For a 27″ drop, order a 102″ round. For a 21″ drop, order a 90″ round. For a 12″ drop, order a 72″ round. For a top cloth, order a 72″ or 90″ round cloth. For a floor length linen, order a 90″ x 156″ drape. For a 21″ drop, order a 72″ x 144″ banquet. 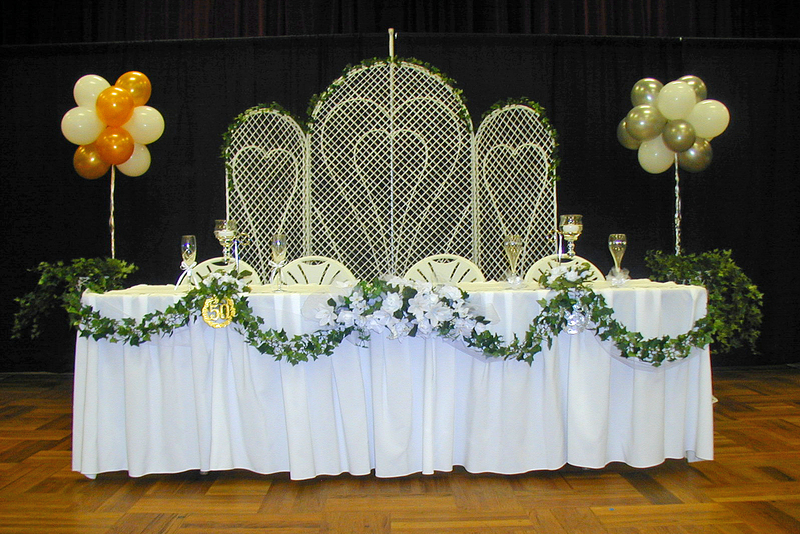 For a 15″ drop, order a 60″ x 120″ banquet. For a floor length linen, order a 90″ x 132″ drape. For a 21″ drop, order a 60″ x 120″ banquet. For a 15″ drop, order a 60″ x 96″ banquet. Don't delay, order some today by calling 209-239-1661!